There are a myriad of Federal and State specific programs based on income and service available to seniors that can be powerful tools to reduce your out-of-pocket expenses and help you achieve the emotional, physical and financial peace of mind you deserve. 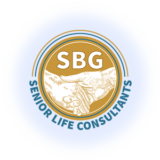 As your senior health advocates, we will guide you to the programs and services you are eligible for and assist in enrolling and implementing all the benefits you are entitled to. • Reduce Your out-of-pocket Medicare part D Drug plan premium and co-pays. • Access low cost medically necessary transportation. • Reduce your part B premium. • Qualify for long term/home care benefits.